Flexible pcb (flexible printed circuit board) is used to connect rigid circuit board, display, connectors and other components in a three-dimensional package. They can be bent or change shape, to interconnect multiple panel or adapt to a specific package size. The flex PCB also can connect the movable components, mainly used for the disk drive, printer heads and other continuous movable electronic devices. 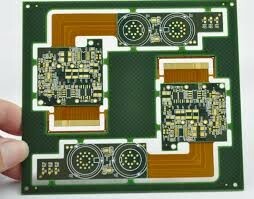 Compared with the traditional wiring, flexible printed circuit board build another reliable solution. FPC not only improves the reliability of the connection, but also simplifies the assembly, and improves the appearance of the components. By eliminating a lot of wires, the appearance of the flexible printed circuit looks clean and tidy. Usually, FPC (flexible printed circuit board)is mounted on one side only, therefore, less error occur during installation and maintenance, thus, reducing the time of redo and troubleshooting. Due to the flexible printed circuit board has greater tolerance to impact and vibration than rigid PCB (rigid printed circuit board), so the repair and replacement costs are significantly reduced. 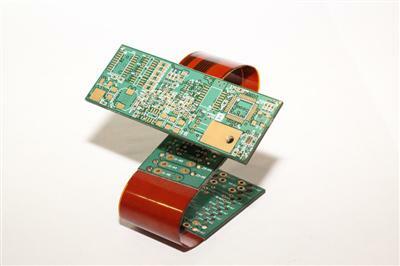 FPC (flexible printed circuit) is thin and light and with good durability, it can be suitable for a wider range of temperature and extreme environment, they can be good for the design of thin lines and high density circuit, and is more suitable than the traditional printed circuit board to apply to dynamic applications and vibration environment. Flexible printed circuit board with light weight and high density, which is the ideal choice of satellite and avionics, flexible heating components, medical equipment, high-end sensors, remote control equipments and safety equipments. Flexible printed circuit board has same advantage with rigid PCB in the repeatability, reliability and high density, However, the most important reason to using the flexible printed circuit technology is because of its three-dimensional structure capability.